Since I&apos;m trying to study for finals, but I want to have something to post- I&apos;m going to give you some fun facts about Bucky, Willow, and Lulu. 1. Bucky and Willow were married outside, in the middle of the woods, in Montana. And it rained. Since they were still avoiding SHIELD, they didn&apos;t have a big wedding. Willow got married in jeans and a plaid flannel shirt. Bucky wore a tuxedo that he&apos;d borrowed from Steve. Steve, Lulu, Warren, and Sam were the only guess. Lulu was Willow&apos;s maid of honor, and she actually sobbed obnoxiously throughout half the ceremony. Steve was Bucky&apos;s best man, and Warren (who literally got a certificate to marry them online) was the preacher. Oh and their massive black dog, Sirius, he was the ringbearer, Bucky clipped the rings to his collar. After the wedding it started raining and everyone ended up laughing and running around in the rain. 2. Bucky and Willow love to spend hours just sitting quietly on their back porch and watching to wildlife. 3. Willow has OCD, and as a teenager had depression and anxiety- she never saw a pyschologist- she was busy trying to stay alive and away from her abusive father. 3. Willow&apos;s favorite color is dark green. 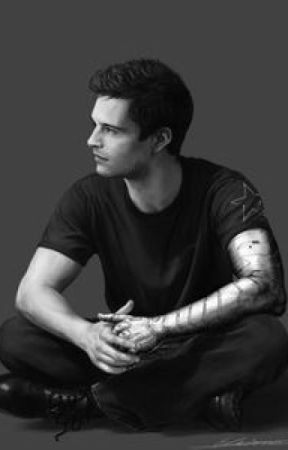 Bucky&apos;s favorite color is navy blue. 4. Willow&apos;s favorite movie is Nightmare Before Christmas. Bucky&apos;s favorite movie is Chronicles of Narnia. 5. Bucky and Willow were married in October, Willow&apos;s favorite month. 6. Lulu and Willow have about a thousand inside jokes, none of which either Bucky or Steve understand. 7. At one point both Willow and Lulu had their hair dyed neon green. 9. Bucky and Willow have two "songs." The first is "You Are My Sunshine," because it was a song that Willow liked to hum to Bucky when he was going through flashbacks. The second is "Born to be My Baby" by Bonjovi. And they haven&apos;t accepted it as their "song." Lulu chose it and decided to play it on her phone every time they walked into a room. 10. Willow actually has two tattoos, both of which she got before her accident. The first is of the Symbol of the Deathly hallows symbol on her wrist, it&apos;s quite small, you could cover it with a quarter. The other one is a quote on her ankle, It still rather small and it&apos;s a quote from Watership Down. It says "My heart has joined the thousand, for my friend stopped running today." 11. Willow&apos;s favorite book is WaterShip Down by Richard Adams. She loves it. 12. Lulu and Willow have a matching tattoo, they both have the deathly Hallows symbol on their wrists. 13. Lulu has several tattoos, none of them incredibly obnoxious, because as a spy it&apos;s best she doesn&apos;t have anything that shows who she is. First she has the deathly hallows one on her wrists, she also has a tattoo of an anti-possession symbol on her collarbone. Lulu doesn&apos;t remember getting that on. Then Lulu has a half moon on her right ankle, and a tiny tattoo of a swooping hawk on the back of her bicep, just above her elbow. 14. Both Willow and Bucky struggle with chronic nightmares. 15. Willow is allergic to apples, kiwi, latex, and mangoes. Bucky doesn&apos;t really have any allergies. 16. Willow is prone to getting ill, probably because the medication she takes for her spine affects her immune system. Bucky has experience dealing with sick people, first with pre-serum Steve, then with Willow. On the rare times that Bucky gets ill (which is very rare, but because his version of the super soldier serum wasn&apos;t as perfected as Steve&apos;s, it does happen), Willow always gets ill as well. 17. By the time of Willow&apos;s passing, she and Bucky had owned a total of 9 dogs (all at different times). Sirius. Remus. Levi. Eren. Lael. Cas. Dean. Sammy. Jess. 18.) They also had several outdoor cats who slept in the barn or under the porch. Sebastian. Ciel. Grell. Luci. 19.) Bucky and Willow owned two horses. 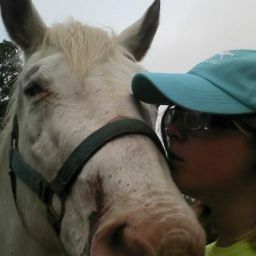 Willow&apos;s horse, who was trained to deal with Willow and her disabilities, was a black and white blanket appaloosa named Night. Bucky has a massive bay Quarter horse named Champ. 20.) No one but Willow is actually aware of what Lulu&apos;s actual hair color is. She&apos;s constantly cutting and dying it. It&apos;s been anywhere from fire engine red to black to bright green. Her real hair color is a mousy sort of brown. 21.) If it wasn&apos;t already apparent from the names Willow chose for her pets and the many references she makes, Willow is a massive fandom nerd. So is Lulu. See you all in the next chapter.